WEST COAST youngster Damien Cavka has been forced to retire from the AFL due to a serious foot injury. 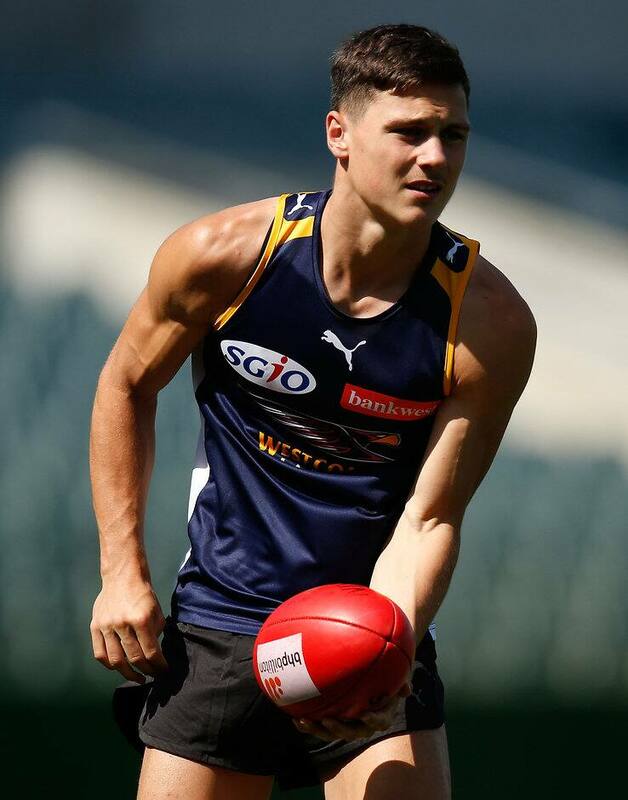 Cavka, 19, was recruited to the Eagles with pick No.66 in the 2014 NAB AFL Draft from the Calder Cannons. He made an early impression in his first pre-season at West Coast, breaking Chris Masten's 2km time trial record with a phenomenal time of 5 minutes 56 seconds. But the exciting midfielder never got the chance to display his outstanding running power. The degenerative condition in Cavka's foot flared shortly after he set that record. The foot injury meant he could only play two WAFL reserves matches and one WAFL league match last season. Despite exploring a number of different medical options, including multiple surgeries and a long period of rest over this summer, Cavka was advised by medical experts that the bone structure in his foot would not allow him to continue to pursue his AFL dream. Cavka told the Eagles' playing group on Monday morning that he would have to retire from senior football. Eagles coach Adam Simpson told the club's website it was bitterly disappointing news. "It's terribly disappointing for Damien, shattering actually, that he won't be able to pursue the dream of playing senior footy," Simpson said. "But he's a quality young man, with strong support around him and he will get the direction he needs to focus on the next phase of his life. "We didn't get to see him play a lot of footy, but Damien had an impact around the group in the last 14 months and had won the respect of the rest of the players and the coaching staff."